Sometimes you want your flooring to offer softness and comfort and sometimes you need it to perform under busy conditions. PhilHitchcock, Harrisons Carpet local business owner in Waikato North and last year’s winner of our Franchise of the Year award, has a decade’s experience matching the best, hardest-wearing flooring to customers’ specific needs. Phil says there’s no “one-size-fits-all” solution to choosing carpet and vinyl and every job requires a different level of performance therefore the first five or 10 minutes of his conversation with a customer is vital. “Just sitting down and understanding their needs means you can tell what they’re after and then find a solution,” he says. “By talking about factors such as pets, children, the amount of direct sunlight and foot traffic you can basically bring our range of 500 samples down to around 10% of the stock. So, what are Phil’s golden rules when it comes to finding suitable, hard-wearing flooring? Phil says it’s important to demonstrate a carpet’s performance so that the customer can make a properly informed choice. For example, he says, customers might choose a product such as the Zen3 Triexta fibre carpet because it immediately feels very soft to the touch. He’s then able to show and discuss how easily tracking shows on this particular fibre compared to one of the others such as, solution dyed nylon. “They can see that being so soft is not always a good thing. You’ll never get away from some tracking, but solution dyed nylon. for example, is a stronger cut fibre and, side-by-side, the customer can instantly see that those markings will push back up again after a short time.” Phil also says some customers are interested in wanting wool carpets and he’s duty-bound to outline the pros and cons compared to solution dyed nylon that has superior fade and stain resistance properties. 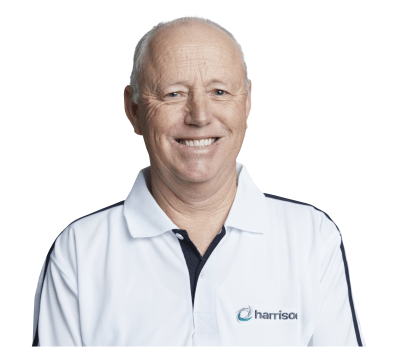 Phil is used to projects in high-use, commercial installations such as offices where he will use commercially rated products like the stain-resistant, level loop pile nylon Knight’s Point or new Court Trinity ranges. But sometimes installations take place in buildings where there’s a crossover between domestic and commercial. “For example, there’s some timeshare apartments in Whangamata where the need to find a thick density, tight pile carpet meant the choice of a heavier grade product with a higher commercial rating of three rather than the residential standard of two.” He advises either the Lorenzo or Brooklyn ranges for these domestic-commercial crossovers. Phil has had projects where he’s had to gauge the level of wear and tear caused by specific households’ requirements. In the case of one project where the homeowner used a mobility chair, it was important to underpin the choice of carpet with a commercial double-bond underlay to prevent the wheels from causing a “wave effect” and the carpet coming away from the floor and the walls. To get customers to understand the balance between budget, style and performance, Phil has a principle of showing customers, carpet manufacturers’ ranges in terms of good, better and best. For example, for Feltex he would show them Calgary, Lorenzo and Ellis Island, while Victoria Carpets would be Nairobi, Zambia and Luxor. 5. Can you really mix and match between high foot-traffic areas and rooms where you simply want comfort? Phil has installed varying styles of carpet to suit different areas of a home, for example, fitting higher pile carpets in lounge and living areas while putting more hard-wearing carpets on stairs and landings. His two warnings however are not to place them side-by-side and to be aware of a much larger percentage of wastage during installation. After being asked about the durability and the resilience of new laminate flooring, Phil has also decided to road test it at his beach house so he can check for himself the manufacturer’s claims about fade-resistance and waterproofing and so his installers can get used to fitting the new product. Phil says he now sells around 80% vinyl planks compared to 20% sheet vinyl flooring thanks to their flexibility when it comes to durability. He says planks will generally withstand the sort of scrapes, spills and dropped items that would puncture some vinyl flooring, involve much less wastage on the install and don’t have the same curing period after the installs. “Or if push comes to shove we always leave spare planks and pressure sensitive glue with people and they can just pop out the ones that are damaged and replace them individually.” He’s also quick to advise installing vinyl planks and laminate flooring over sheet vinyl for dog-owners because some pets’ claws will puncture and mark sheet vinyl. If you have specific reasons for needing hard-wearing carpets or vinyl flooring, one of our nearly 50 locally owned mobile carpet retailers will be able to show you a range of options to suit your requirements. Contact us on 0800 421001 or viathe website to book a consultation at a time that suits you.